By the late '70s and early '80s, no one was taking the classic monsters seriously anymore. They'd been replaced by demons and serial killers and banished to children's programming and comedy bits. The Halloween That Almost Wasn't represents the former group, although according to the indispensable Frankensteinia, it's a very entertaining example. Judd Hirsch plays Dracula and rounds up a bunch of other spooks - including Universal's version of the Frankenstein Monster - to convince Mariette Hartley's witch character to fly across the moon and kick off Halloween. There's slapstick, adorable moppets (not muppets; be patient), and disco. John Schuck, who played the Monster, went on to play bit parts in various Star Trek TV shows and movies (he's probably best known as the Klingon ambassador in Star Trek IV and VI) as well as Herman Munster in the reboot series, The Munsters Today. 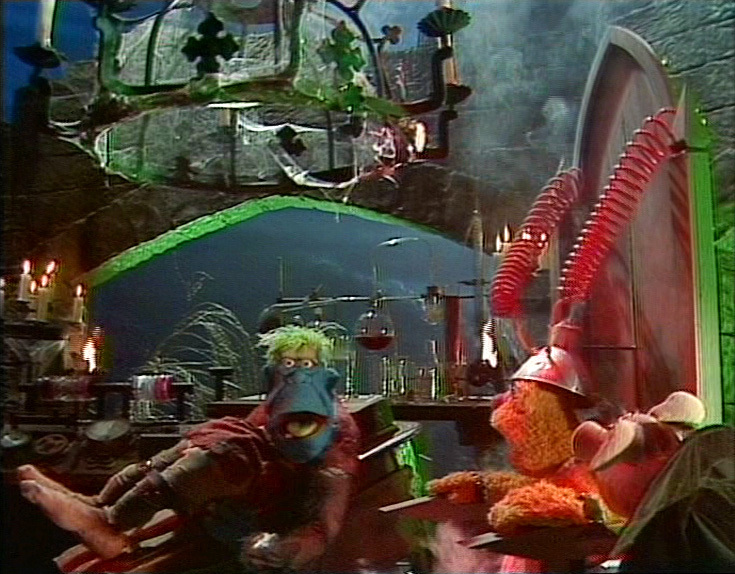 It wasn't the only time the Muppets and Frankenstein hooked up. Miss Piggy and Kermit reenacted a scene from Bride of Frankenstein for the 1982 Miss Piggy calendar, the Monster's shown up in a couple of episodes of Muppet Babies, and IMDB mentions an appearance in next month's The Muppets. I hope you do not forget the late great Phil Hartman!? Hartman's one of my favorite comedians, but I'd totally forgotten he played the Monster on SNL. Thanks!